In the past 10 years, the compact-truck segment has all but disappeared. 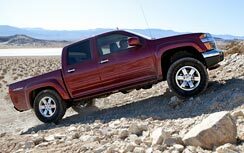 In fact, the term "small truck" now has evolved to include midsize pickup trucks or anything that isn’t a half-ton or heavy-duty full-size pickup. 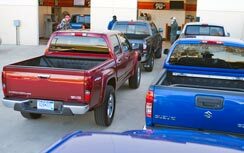 And with fierce competition in the full-size half-ton segment, price wars have continued to punish the smaller counterparts. However, these vehicles are interesting and can provide a window into the engineering and design abilities of their makers. After all, this segment still makes up almost 3 percent of the auto industry. 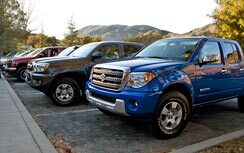 We put the trucks through three days of exhaustive testing to see which one would rise to the top. We tested their maximum horsepower, their fuel efficiency, how they handled the rough desert surfaces. We pushed them hard on the track and under the withering glare of our experts' eyes. 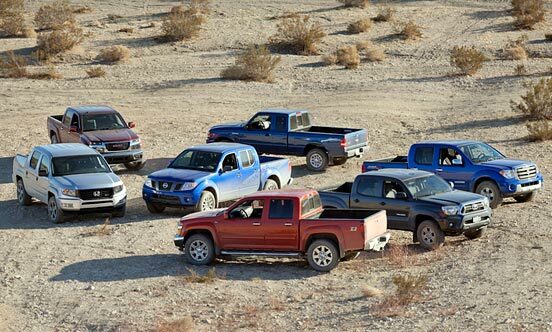 Seven entered the arena (or at least Southern California), but only one midsize truck could be crowned the winner. It was a close battle, but there was a clear winner. See which of these mighty mites earned the bragging rights for this segment.